Trading via: Online Platform or Telephone. Fees: No Fees applied on money transfers. £9.95 to issue prepaid cards. Client Reviews: About 700, mainly on TrustPilot. * Based on referral data, it appears very few of the prospective clients who visited FairFX in 2017 have decided to register and trade with the firm. This signifies a complex sign-up process to us. On top of being an industry leader on international money transfers, FairFX is also one of the most predominant travel money and prepaid currency card provider in the UK. Travel money offering: free next-day deliver on orders over £750. Over 20 currencies available including: US Dollars, Euros, British Pounds, Australian Dollars, New Zealand Dollars, South African Rand, and more. Currency card offering: secure chip & PIN international Mastercard, loaded with Euros, Pounds or Dollars at preferable rates. Order card and receive in a matter of days, activate online, load and topup online. The easy solution for travelers. FairFX’s FairPay Price Guarantee indicates that if you found a better transfer quote through another online provider, you will be refunded with the differences between your transaction and the alternative price that was offered to you. This, in combination with the fact they publish current online rates on their website in a transparent way, make us believe they are genuinely aiming to be the cheapest company in the market. FairFX is a public (LON: FFX) rapidly growing company from London. Even though they have been around for less than 10 years in the business, they have managed to establish trust with 460,000 retail clients until H1 2015 (inclusive of all services offered), with a turnover of over £300m for the period (from all combined revenue channels ). In fact, in the first half of 2015, the company has managed to increase its turnover by more than 40% by making their entire online experience smoother and more user-friendly, stating over 50% of the website’s traffic is coming from mobile devices. They have even received the Moneynet award at the end of 2014 for their technological innovation in the money transfer vertical. 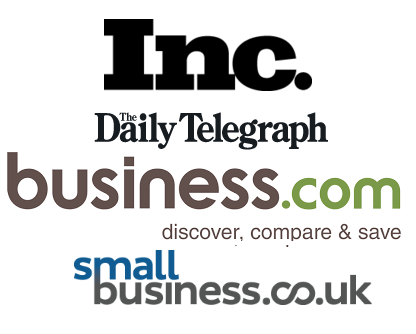 The company has been featured in all large media publications in recent years including Daily Mail, Express, The Telegraph, and The Independent. The Telegraph wrote on their piece Five things to never buy from a bank that “The best deals are usually through an online broker, such as FairFX…“. We concur. Considering the fact FairFX is a public firm traded in London Stock Exchange, and the fact they offer one of the most transparent pricing systems in the industry, has a plethora of prestigious industry awards, and is featured on multiple media channels; we concluded that they are highly reliable.. The only disadvantage we can see is that they have been in business for less than ten years, but on the other hand, they grew tremendously over the past few years, reaching a size that is comparable to the industry’s veterans. FairFX is boasting a 8.5 / 10 score on TrustPilot with approximately 10% complaints, 5% neutral reviews, and 85% positive reviews. There are more than 750 client reviews there. The support team is extremely responsive and every complaint is addressed and at least appears to be sorted out. The majority of clients are happy with FairFX services. Some of them review the holiday money delivery services or prepaid currency card service, but many of them relate directly to the money transfer service. Service was helpful and respectful. Money got on time and to the right address with no hassle. Clarity of fees and transparency of exchange rates for all services. Lack of response from a certain member of the team to sort down a certain issue. Prepaid debit cards not accepted at certain locations. We could hardly find any complaints relating to the money transfer aspect that we cover and rate companies by, and as mentioned before, each complaints (and compliment!) is swiftly addressed by the company’s support staff. There are hundreds of client reviews about FairFX money transfer service, but there are hardly any complaints to be found. The vast majority of reviews are praising each of the pillars of a money exchange business: support, quality of staff, speed, accuracy, and pricing. On top of that, they seem to actually care what people think about them. They address each and every comment made by each client, and treat both compliments and complaints in a respectable manner. Even dissatisfied customers seem to change their minds about the company after they have been approached. Fees: There absolutely no fixed fees when transferring money with FairFX using our link. Online transfer rate: the rates are fixed at around 1.5-2% spread, that considering the fact no fees are applied, is a competitive price, if it’s a low-volume trade (say, 3,000 or less). There’s also a guarantee to match any quote online competitors, so even though companies like Transferwise uses slightly lower margins, FairFX can match them. Telephone rate: As with all other large firms that enable telephone transfers, rates are preferable this way. No only a client can receive professional guidance from a dedicated account manager, but he can also haggle about the rates that are offered to him. The spreads could be anywhere from 0.1% to 2%, depending on volumes and type of contract needed. Limits: The minimum transfer amount is £500 (or half of that for regular payments). The online system is able to handle transactions up to £250,000, and phone transfers are unlimited. For travel money or currency cards there’s no minimum, though travel money delivery is only free above the £750 mark. Really good pricing. No fixed fees, transparent rates for online transfers (backed by a refund guarantee if another company offers a better price), and telephone transfer option. Ways to approach: Email, Telephone, Call-back Form, Online Platform. Accepts clients: Worldwide with the exception of USA-based clients. Client reviews: Over 85% are very fond of the service they have been received. One of the ways in which we measure the effectiveness of a money transfer provider is through seeing how referral traffic responds on its website. Throughout 2016 and 2017, we have sent hundreds of prospective clients to FairFX’s website, and have received reports on how many of these people have signed up with the firm, and made trades with it. We have comprehensive data as we have such referral agreements in place with more than a dozen companies (more on how we work on our about us page). Our conclusion is that something is not working as expected on their website, as their conversion rate (the ratio of referral traffic to registered and active clients) is very low in comparison to the competition. Although FairFX does provide good service, deals with all important currency pairs, and accept clients almost internationally, they don’t excel on this particular aspect. With a single UK office, no website translations, and limitation for US clients, FairFX is by far less international-facing than competitors like Currencies Direct which would recommend for non-UK clients. In addition to that, a relative low conversion rate against its competitors like World First shows us that although everything seems good above the surface, there is some kind of a product issue. FairFX is more geared towards retail clients than small businesses; That being said, they still offer the basic hedging tools that are expected of each Foreign Exchange firm. App: FairFX’s Mobile bank app is great. Unlike many “apps” in this industry, you can actually make transactions on the go with ease. People are generally pleased with it with rating of 3.5 stars on Google Play – the majority of negative reviews are from devices that were not able to run the app (which now appears fixed). Not only you can transfer money with this app, you can also easily reload your currency card, or order travel money, which makes this perhaps the most versatile currency app in the industry (view currency app comparison here). For businesses, the offering is pretty standard. All the basic type of contracts to hedge your funds. For retail clients, the offering is far above average. Not only FairFX by nature is a one-stop-shop for all currency needs, its app also enables you to perform all desktop functions on the move. FairFX has great rates, strong reputation, and high level of professionalism. Still, it has a different focus than international money transfers – its world renowned prepaid currency cards. When it comes to bank payments, it has a few disadvantages: It has a single UK office, limited selection of currencies, and seemingly a more complex sign up process than its competitors. We think it can be a good choice but it doesn’t come in the most recommended FX company. Hi, is it possibly to sign up for a card. ? I’m looking to travel from Ireland to Canada for extended holiday so would need to be able to buy Canadian dollars using euros ?